Instagram had been, one glorious platform across the globe that connects people through the images of their daily lives, thoughts, passions and many more. If you’re a social media geek, then it’s nothing new to you that how awesome this very platform is. So, as millions of others, we all have an Instagram account. But that’s not all you want, right? An Instagram account without enough followers? Well, sounds like a football match without any viewers. Well, if you’re going through the same trouble of lack of Insta-followers, you’re at the right place. Let’s go through some quick but effective tips that would bring you Instagram followers without following tons of them. Well, maybe you already know about this. But for people who don’t-In Instagram, you can keep an account of yours either private or public. Private accounts can barely get followers because that’s just visible to people who are friends with you. People will unable to see your photos before becoming your follower. For people like you and me, it’s quite impossible to increase followers in this way.So, make sure that your account is made public. If possible, check the profile status from the account of a friend’s. Now days, people’s choice is all about the humour and fun. So, as creative and humorous you can be with your pictures, as viral you’ll be. You already know that there’s nothing much in Instagram to express yourself in text, like the other social medias have. But why don’t you use it to drive the traffic to a better introduction of yourself?You can easily make video of yourself explaining who you are, what are your passions like and what you do. This can literally raise a token of appreciation among the fellow viewers. Captions are the place where we look at right after viewing the image itself. If you’re sticking to those old school captions like Me Hanging out un LA or Chilling with A Brother from Another Mother- types, you’re not on the track.Be a little more creative with the words. Because, people won’t remember the images all day long. But guess what a catchy caption can do? It will take him back to others of your photos, and eventually turn him into a follower of yours. Like everywhere else, people won’t keep an eye on you until or unless you have your own uniqueness in style and sense of humor.People always like it to be with something that’s not usual, called unique in other words. A different style of selfie, a few drawbacks from your past and many more ways are there to be unique with the contents. Go and find out them by yourself. I’ve been an Instagram user for six years and you can find a lot of people on my follower list. But guess who’re on my daily checklist each time I log in?Well, there are celebs, friends and families of course. But some photographers who clicks extra-ordinary promotions, some artists who have an amazing hand of sketching, or some people who are great with ambigrams, are on my list. I check them out every day and look for whatever they’ve posted recently.This makes sense, right? People who keep showing off their own face are kind of tolerable. But people get attracted to people who come up with some contents from the surroundings. Maybe a candid photo of a street boy, or some rapid photos of the amazing sunset, or just the snap of the latest cartoon that you’ve made- these are supposed to make you unique and a loved person by random Instagram people. You already know that people do search with hashtags a lot. In fact, this is a common way that people use to find contents, images and videos regarding to a particular issue or event.Making proper use of the popular hashtags can bring the limelight on you all of a sudden. A proper use of hashtags, a perfect content and a catchy caption, that’s what all you need to get viral. And yes, we missed the Fortune Favor of course. But never mind, fortune favours the braves, right? 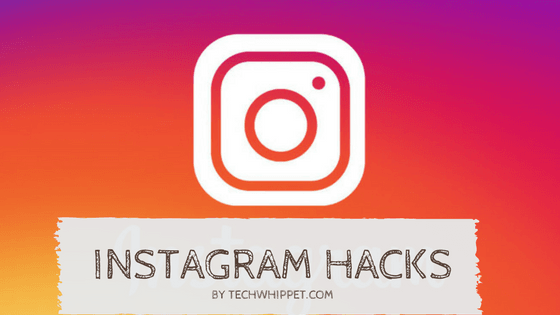 Geotags are certain features of Instagram which lets people to tag themselves out with a particular location on where they’re living in right now.On Instagram, every location has its own tag and people nearby can find that out from the app itself. It’s one way to find your friends that where you’re right now. And if the city or location is a popular one, you have a chance to get exposure from people nearby. I’ve seen many of my Instagram friends to click like 50 photons in a row and upload them all at once. This is kind of terrible habit if you have an intention of getting random followers.If your photos aren’t that much attractive, there is a tiny chance of people going through each of your photos. Rather click a number of photos and upload only the best two or three on Instagram. And do that on regular basis.